It is a complete pleasure to share my review of The Diva Serves High Tea by Krista Davis with you today. If you are new to this series it is one of my most favorites. A long running series that follows the life of main character Sophie Winston and her relationship with her ex-husband Mars, his long time live in girl friend Natasha and the wonderful small community of Old Town. Sophie and Natasha are life long friends/rivals but over the last 10 books it is more of a friendship, complicated at best but a friendship all the same. I found Krista Davis and this series when I spun the racks at my local library and it stopped on The Diva Haunts The House the 5th book in the series and still one of my most favorites. After reading the 5th book I went back and read the first 4, then ordered the rest. 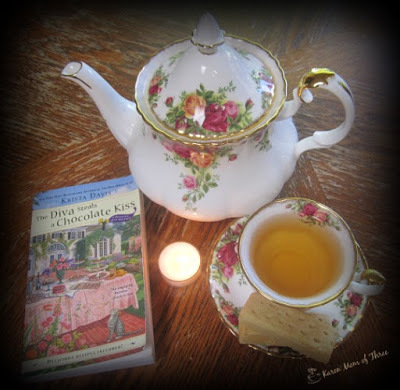 Book number 10, The Diva Serves High Tea came out June 1st and had all the same chemistry that I found in book 5 but so much more. It felt more sophisticated then the previous book The Diva Steals A Chocolate Kiss, which I also enjoyed. 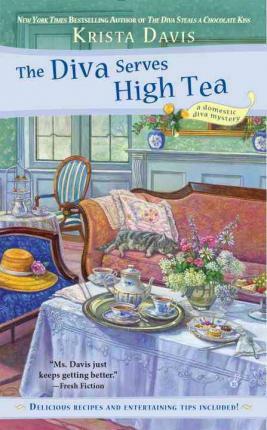 With new characters and a great plot line, The Diva Serves High Tea had so many great moments, the story is a good one and there is so much going on with your favorite characters and mysterious events that I found myself feeling like I was participating in the events and staying in one of Sophie's guest rooms. The cover of this book is as delicious as the mystery with in and one of my favorites of the whole series. 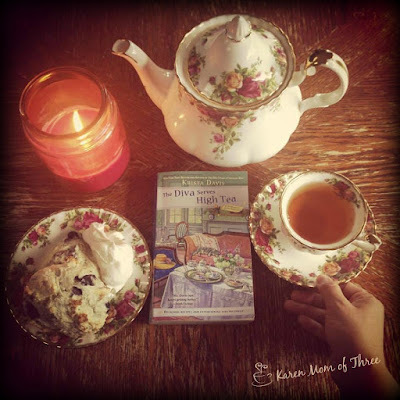 I do believe Krista Davis has a winner in this latest visit to Old Town! To order your own copy like I did from The Book Depository please click here. Learn more about this series and Krista by visiting her website here. Thanks, Karen, for sharing your reviews. Thank you for the lovely review, Karen! 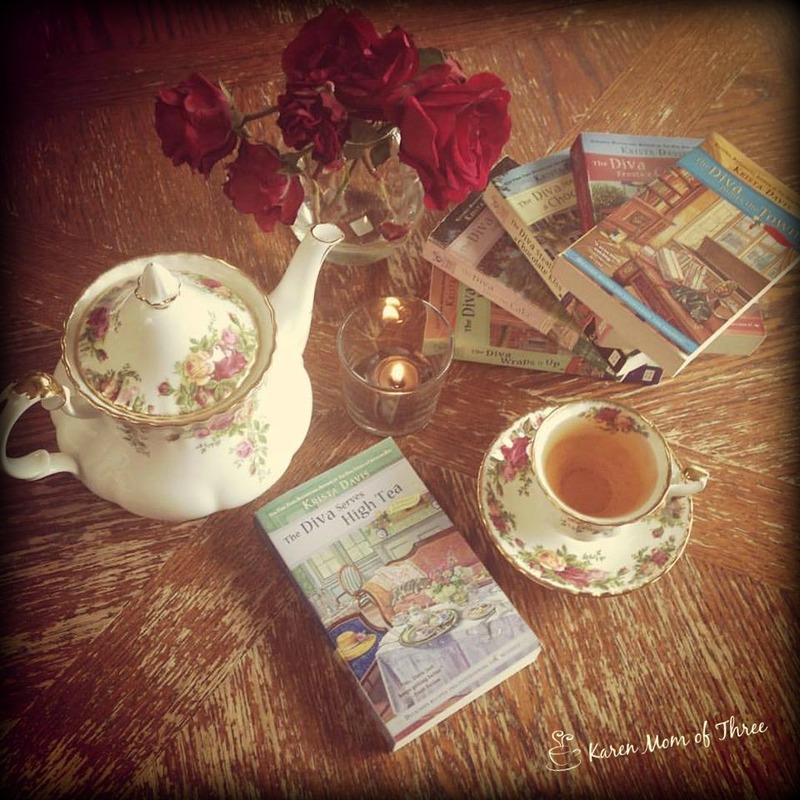 I'd like to hop into those pictures and share a cup of tea (and those to-die-for scones!) with you!